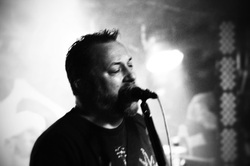 Recently the band has undergone a number of personnel changes which recently saw them settling on their current line up which features Gary Luckhurst on Lead Vox & Rhythm Guitar, Matt Stanhope on Vox & Lead Guitar, Martin Fitzgerald on Vox & Bass and Wally Youngman on Drums & Percussion. Alongside loyal sound engineer Richard Chapman,the TEN-79 train is still rolling along and is as vibrant as ever. With new material in the pipeline for 2017 and a fan base in excess of 15,000 twitter followers, this ensemble of friends are fired up and ready to rock n roll. 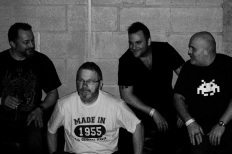 Formed in 2012 by original members Gary Luckhurst, Wally Youngman, Jim Cadwallender and Paul Coleman their story began as a band concept which placed a passion for song writing and performing at the forefront of proceedings and left egos firmly at the door. Named after the road that brought them all together, the four piece joined in putting together a catalogue of original material using a diverse heritage of influences including Led Zeppellin, The Levellers, and REM as a catalyst for the creation of their own unique sound. Applying themselves to regular gigging they very quickly established a solid reputation for their distinct musical calibre and earned themselves a loyal fan base. In 2014 the band released their debut album 'LOVE, LIFE AND LIES' to great acclaim, seeing their debut single 'WAYSIDE' receiving airtime on former Shed Seven front man Rick Witter's 'Disco Down' Minster FM Radio show and follow up single 'THE GATHERING' featuring regularly on national BBC introducing programmes. Further material from the album has continued to gain frequent international airplay as far afield as the United States and Australia and can regularly be heard on the internet radio station 'Rockers Dive Radio'.